Another Oznium exclusive mind-bending LED strip, designed with not only limitless flexibility in mind, but creating our brightest LED strip ever, the Tri-Chip Ultra Flexible Motorcycle LED Strip. Like our other Tri-Chip LED Strips, they are by far our brightest, most durable, and most efficient LED ribbon strip, for use in any location on your motorcycle, bike, moped or scooter (just watch the exhaust!) We've added a layer of our exclusive HydroGlow nano-technology waterproofing for a fully weatherproof motorcycle LED strip, ready to take any weather conditions you're able to throw at it (or drive in). With our exclusive dura-flex silicone formula, this super bright motorcycle LED strip is so incredibly flexible, it can easily achieve 90 degree angle bends, wrap around your finger, a saddlebag, or anything on your motorcycle / bike you'd like to mount them to. Did I mention there's ultra-strong 3M adhesive on the back to make installation even easier? 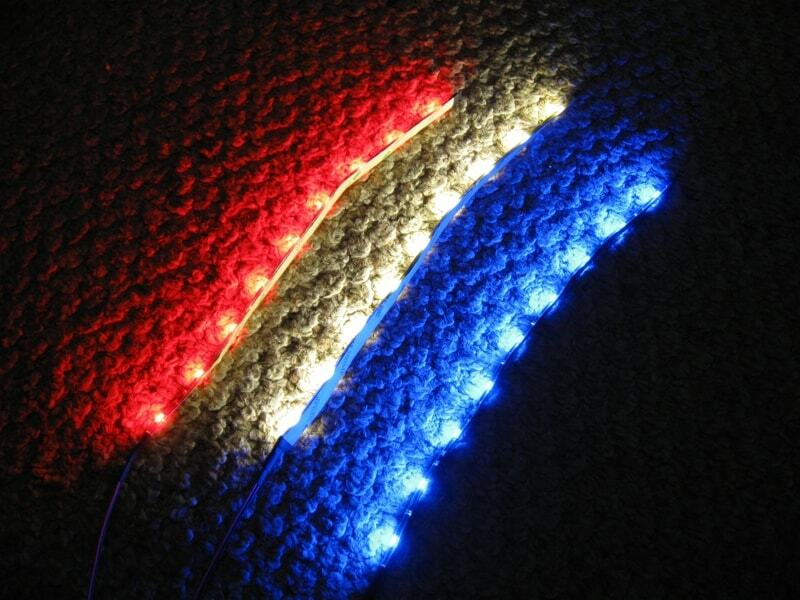 These super bright motorcycle LED strips can be shaped and bent to your hearts desire with endless possibilities for use in a myriad of locations on your: motorcycle, bike, moped, scooter, or even ATV ! 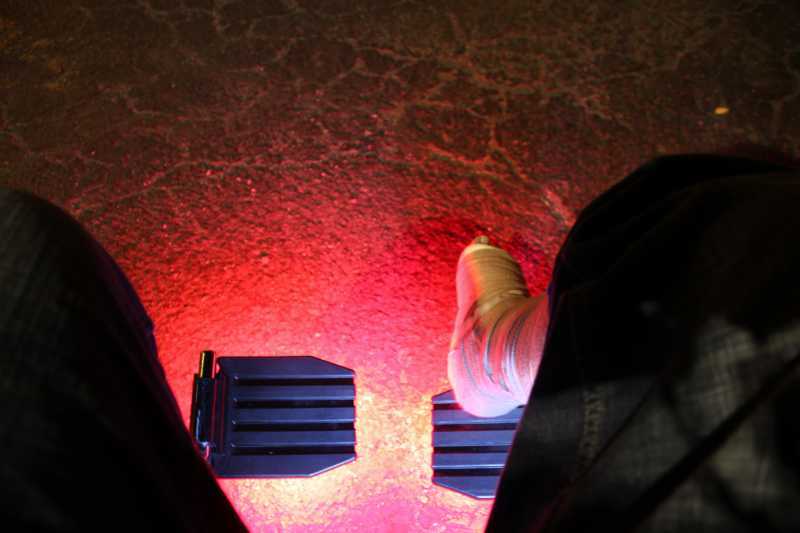 Scooter Accent Lighting - Be seen at night! Bicycle / Bike LEDs - "Was that a UFO?" 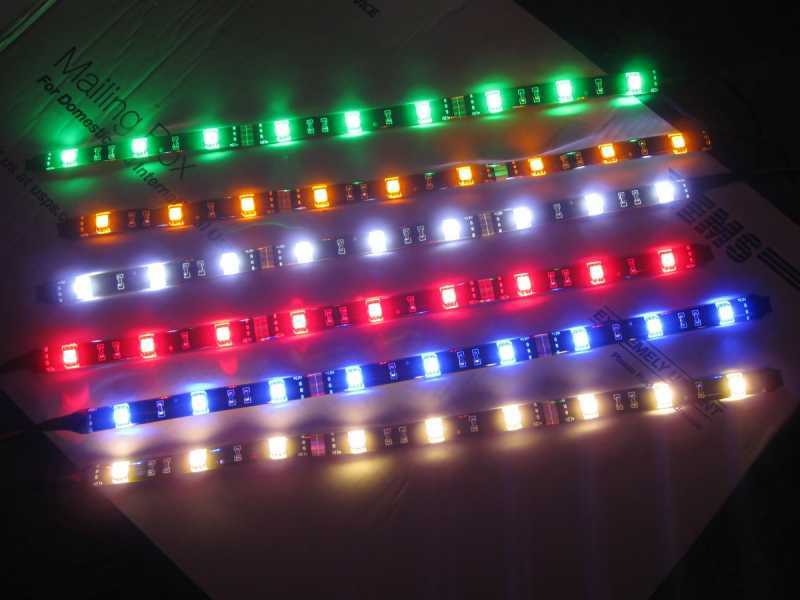 1 Foot LED Strip : With 9 evenly spaced super-sized Tri-Chip LEDs per foot, you can be sure to get that even light spread we all desire, even when mounted close to another surface. These over-sized LED modules throw a wide spread angle of light, which always is pleasing for motorcycle LED accent lighting. 1) Units are 100% plug and play, no electronic skills or soldering required. 2) Connect the red and black wires to any 12V Power Source. 3) 3M VHB is included for a iron-clad bond that won't fail on you, or you can use 3M in a conjunction with silicone sealant for a truly seamless install, anywhere you desire. To make life (and installation) even easier, we've included 1 foot of lead-in power wire clearly colored, so installation on your motorcycle, scooter, moped, or bike is as easy as 1-2-3. Even an LED beginner should have these installed and mounted in under 5 minutes, with our pre-wired, plug and play technology, and reverse polarity protection, you have nothing to worry about! 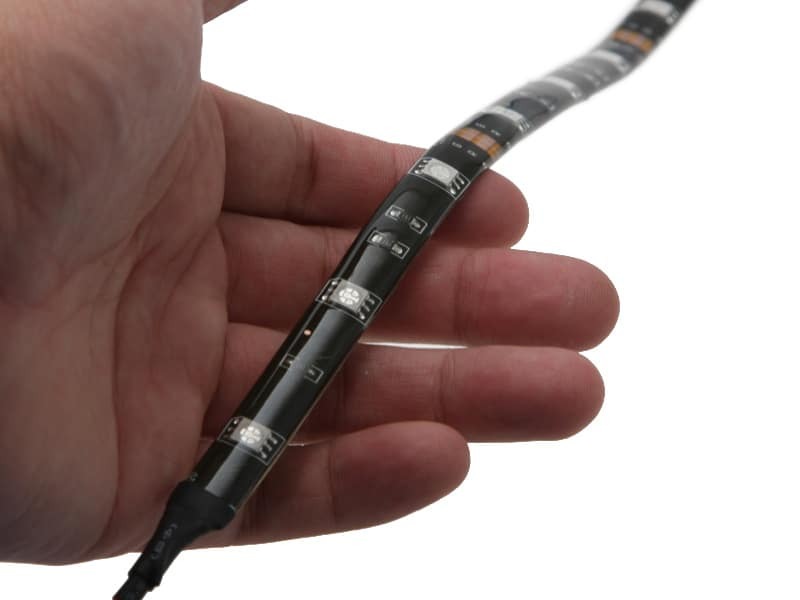 You are currently viewing Motorcycle applications for our Tri-Chip Ultra-Flex Waterproof Strip. 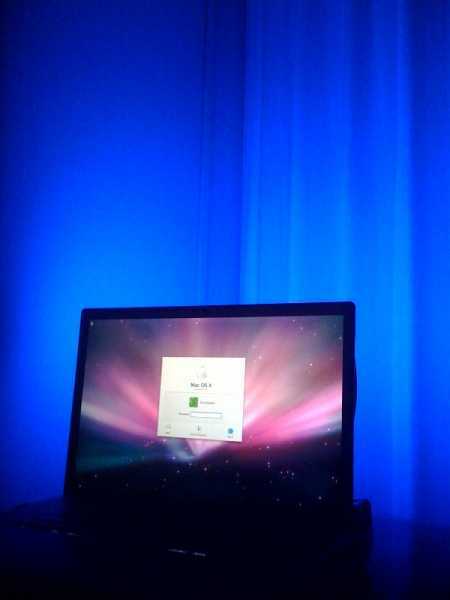 I bought all my LEDs from Oznium and the products perform even better than I expected and the installation was fairly easy. I would definitely recommend these to everyone. November 2011, I purchased four cool white, white background, tri-chip weather proof strips, for use on my Ford Fusion. Very satisfied with the quality and light output. July 2012 I purchased eight more strips, very dissatisfied this time. Upon arrival I unpacked and laid out flat to regain composure. To my regret I threw out the packaging, to later find, on several strips, the weather proof material was split through to the circuit board, and on two strips, the LED housing was protruding through the weather proof medium, unprotected. At twenty four dollars a strip this is unacceptable. I honestly think OZNIUM would better forgo the packaging camera in favor of inspecting their product more carefully before shipment. If you purchase these, I highly recommend you examine thoroughly before use. I just took for granted I would get the same quality this time. My last order. What is the difference between these and the other waterproof strips? Is the brightness that much more noticeable? I want to get a couple red strips for addition brake lights. I really wanted to add a distinctive look to my Yaris without shelling out a wad of cash! 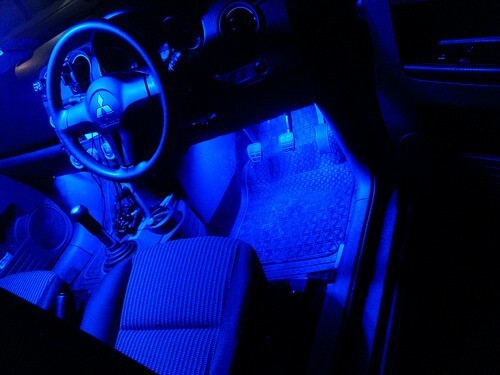 These LEDs look awesome and were quite easy to install! 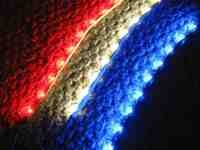 These strips are very bright and can be seen well even in daylight. 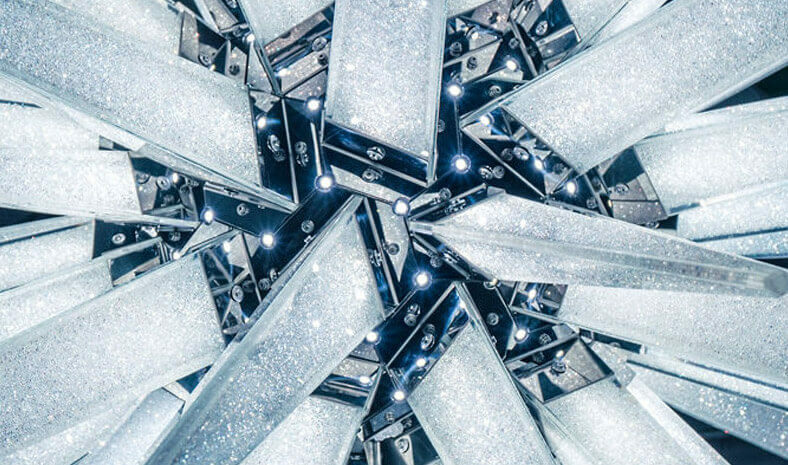 Comparable to the Audi lights and other luxury car lights you see on the roads. Wiring was easy to install. Keep in mind: you cannot plug these into your home outlet to test the strips as it will fry the internal wiring of the strip. You ALWAYS must use a converter for in-home use. 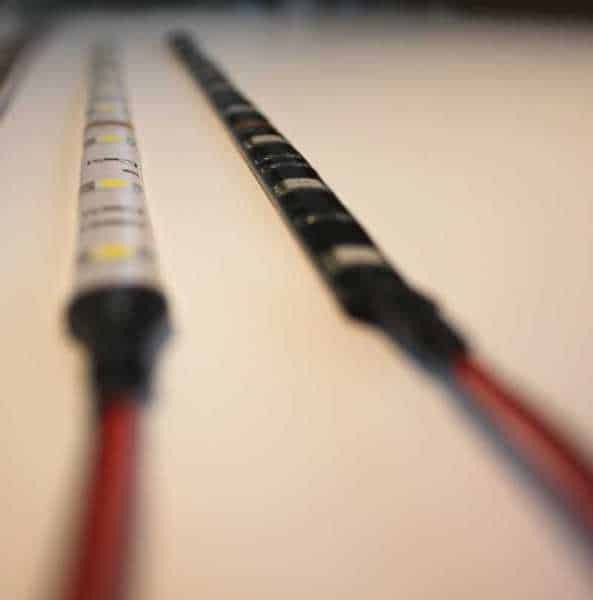 These strips are designed to plug and play within a 12V DC application (ie Auto). As always, Oznium is quick to ship and has excellent customer service. I want to glow up my 2010 Charger so I, having never bought from Oznium before, bought these because I heard it was an excellent product. I can say that this thing throws a truckload of light VERY evenly. You have to put these LEDs strips within 1 inch of a surface to get any kind of spotlighting effect. VERY flexible. I put the strip through a torture test of sorts. I live in Arizona so my first concern was the silicone and how it would stand up to the heat of summer plus the heat of the engine as I would be putting these in my grill and engine bay among other places. They passed the test with flying colors. The only thing that was a con was that the adhesive backing isn't on par with the awesomeness of the rest of the product. Not a big issue for me because I was planning on zip tying them, but it may be for others. Long story short, these lights are incredibly bright and rugged. If you plan on using ONLY adhesive to secure them, however, don't put too much faith in the included adhesive backing. I bought the side emitting with disappointing results, I bought the water proof ribbon with disappointing results. I bought these and WOW. they are brighter, they give MUCH more of that Audi look. Pros-waterproof of course, bright as hell (brighter than the other 2 strips..no joke), last longer, simple connect wires and go. Cons-not long enough, need to make side emitting, the wires stand out when trying to do a nice clean install, don't flex side to side, just up and down (when looking at the strip from the top). Overall, worth the money by far. Have a spa with 100-104degrees fahrenheit. Installed led strip and within 2 weeks the leds start going out due to delamination from between the slicone and black electric strip. Installed under the waterfall, and it is truly beautiful. It just keeps going bad. The strip is above the water and has a thermal blanket barrier, but the steam is causing the problem. Need a heat and waterproof led strip.